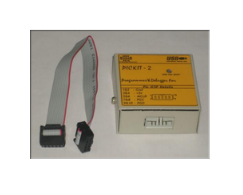 Leading Supplier and Trader of PIC Programmer such as PIC KIT2 Programmer and PICkit 3 Programmer from Mumbai. The pickit 2 is a low-cost in-circuit debugger (ICD) and in-circuit serial programmer(ICSP). Pickit 2 is intended to be used as an evaluation, debugging and programming aidIn a laboratory environment. Microchip’s PICkit 3 In-Circuit Debugger/Programmer uses in-circuit debugging logic incorporated into each chip with Flash memory to provide a low-cost hardware debugger and programmer. The MPLAB PICkit 3 allows debugging and programming of PIC® and dsPIC® Flash microcontrollers at a most affordable price point using the powerful graphical user interface of the MPLAB Integrated Development Environment (IDE). 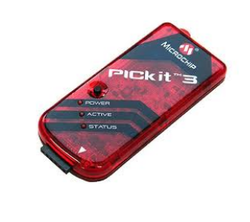 The MPLAB PICkit 3 is connected to the design engineer's PC using a full speed USB interface and can be connected to the target via an Microchip debug (RJ-11) connector (compatible with MPLAB ICD 2, MPLAB ICD 3 and MPLAB REAL ICE). The connector uses two device I/O pins and the reset line to implement in-circuit debugging and In-Circuit Serial Programming™.